Here are some snazzy birthday facts about 12th of February 1959 that no one tells you about. Don’t wait a minute longer and jump in using the content links below. Average read time of 10 minutes. Enjoy! What day was my birthday Feb 12, 1959? February 12, 1959 was a Thursday and it was the 43rd day of the year 1959. It was the 7th Thursday of that year. The next time you can reuse your old 1959 calendar will be in 2026. Both calendars will be exactly the same! This is assuming you are not interested in the dates for Easter and other irregular holidays that are based on a lunisolar calendar. There are 297 days left before your next birthday. You will be 61 years old when that day comes. There have been 21,983 days from the day you were born up to today. If you’ve been sleeping 8 hours daily since birth, then you have slept a total of 7,328 days or 20.06 years. You spent 33% of your life sleeping. Since night and day always follow each other, there were precisely 745 full moons after you were born up to this day. How many of them did you see? The next full moon that you can see will be on May 18 at 21:13:00 GMT – Saturday. Fun stat: Your first one billion seconds (1,000,000,000) happened sometime on October 21, 1990. If a dog named Cocoapuff - a Shiba Inu breed, was born on the same date as you then it will be 260 dog years old today. A dog’s first human year is equal to 15 dog years. Dogs age differently depending on breed and size. When you reach the age of 6 Cocoapuff will be 40 dog years old. From that point forward a small-sized dog like Cocoapuff will age 4 dog years for every human year. Vasco da Gama sets sail from Lisbon, Portugal, on his second voyage to India. Japanese invasion of Korea: Approximately 3,000 Joseon defenders led by general Kwon Yul successfully repel more than 30,000 Japanese forces in the Siege of Haengju. George Gershwin’s Rhapsody in Blue received its premiere in a concert titled “An Experiment in Modern Music,” in Aeolian Hall, New York, by Paul Whiteman and his band, with Gershwin playing the piano. World War II: Operation Deadlight ends after scuttling 121 of 154 captured U-boats. Aleksandr Solzhenitsyn, winner of the Nobel Prize in Literature in 1970, is exiled from the Soviet Union. One hundred women protest in Lahore, Pakistan against military dictator Zia-ul-Haq’s proposed Law of Evidence. The women were tear-gassed, baton-charged and thrown into lock-up. The women were successful in repealing the law. Curious about this Star Fruit Butter Ball? This is a party item you can activate and send to your friends when you play the free game Jump Birthday Party. It’s a fun and easy-to-play mobile game for all ages. Get free 1,000 gold coins when you download today! What does my birthday February 12, 1959 mean? 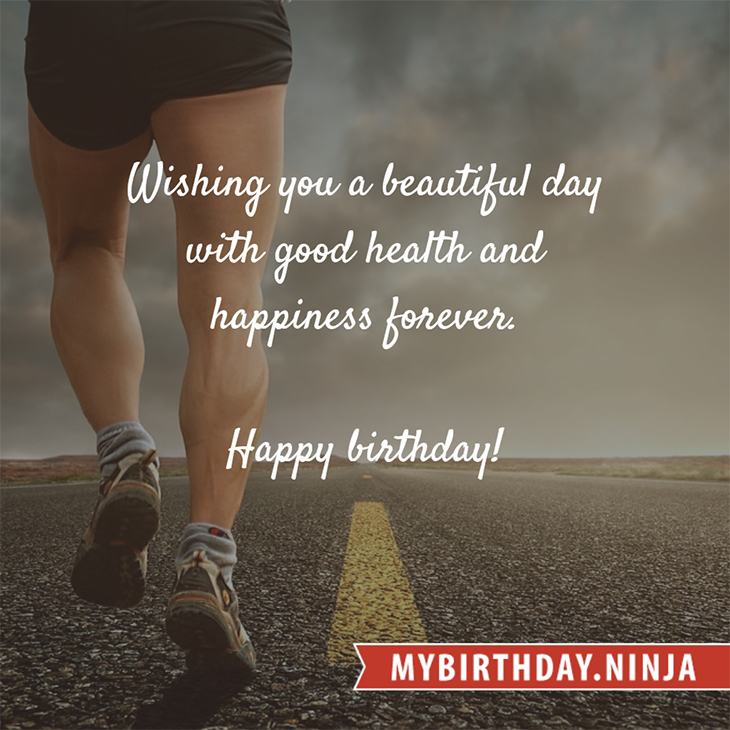 Your birthday numbers 2, 12, and 1959 reveal that your Life Path number is 11. It is a master number that represents intuition, idealism and invention. You have the potential to be a source of inspiration and illumination for people. The following celebrities also have the same life path number: Michèle Deslauriers, Samudrala Raghavacharya, Gordon Waller, Craig David, Vic Damone, Solomon Burke, Randolph Mantooth, Devon Aoki, Vic Tayback, Justin Peroff. 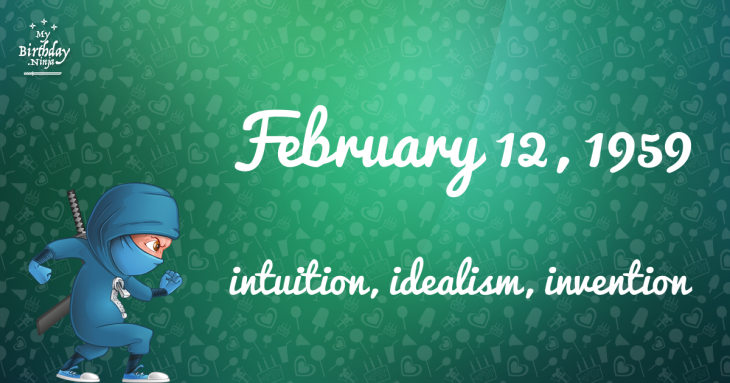 What is the birthday horoscope for Feb 12, 1959? The Western zodiac or sun sign of a person born on February 12 is Aquarius ♒ (The Water-bearer) – a fixed sign with Air as Western element. The ruling planet is Uranus – the planet of originality. According to the ancient art of Chinese astrology (or Eastern zodiac), Pig is the mythical animal and Earth is the Eastern element of a person born on February 12, 1959. Fun fact: The birth flower for 12th February 1959 is Violet for modesty. What is the Love Match for Feb 12, 1959? When it comes to love and relationship, you are most compatible with a person born on December 13, 1975. You have a Love Match compatibility score of +105. Imagine being in love with your soul mate. On the negative side, you are most incompatible with a person born on August 16, 1970. Your incompatibility score is -173. You’ll be like a cat and a dog on a love-hate relationship. Arf-arf, I want to bite you. Meow-meow, stay away from me! The number-one hit song in the U.S. at the day of your birth was Stagger Lee by Lloyd Price as compiled by Billboard Hot 100 (February 16, 1959). Ask your parents if they know this popular song. How many babies were born on February 12, 1959? Base on the data published by the United Nations Population Division, an estimated 105,573,458 babies were born throughout the world in the year 1959. The estimated number of babies born on 12th February 1959 is 289,242. That’s equivalent to 201 babies every minute. Try to imagine if all of them are crying at the same time. What is the popular baby name on 12 Feb 1959? Here’s a quick list of all the fun birthday facts about February 12, 1959. Celebrities, famous birthdays, historical events, and past life were excluded. Try another birth date of someone you know or try the birthday of these celebrities: January 31, 1977 – Kerry Washington, American actress; June 8, 2004 – Francesca Capaldi, American child actress; December 21, 1938 – Larry Bryggman, American actor.